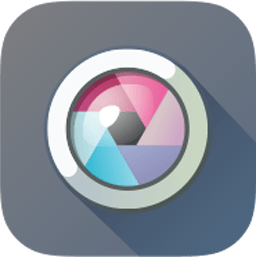 Pixlr has been a favorite online photo editor and mobile app for years. Now, you can get the same Pixlr experience with even more fun and powerful tools on your Mac or Windows computer. A Pro membership gives you greater control over specific photo enhancements. Easily select exactly which elements get the applied effects. Introducing Influence Masks - completely new for the desktop edition of Pixlr. Sometimes, a little more control goes a long way. Influence Masks give you precise control over how effects are applied to specific areas of your photo, allowing you to be creative and original in completely new ways. Use Influence Masks to create stunning photos that look professionally-edited – no boring training course or phone-book sized manual required. Add effects like crosshatch, halftone, and dapple with a single click. Your options are limitless with hundreds of effects, overlays, stickers, and borders to choose from - experiment with different effect combinations and amaze yourself with the stunning art you create. Use familiar blending modes with double exposures, overlays, and effects for amazing results - free. Pixlr Pro members can use advanced blending modes with Influence Masks for greater creative control. Make your photos say more with Text Masking. Pixlr Pro members can use Influence Masks to add highly stylized text to their creations. Apply linear or radial gradient masks to blend effects or images, or create artificial light sources.